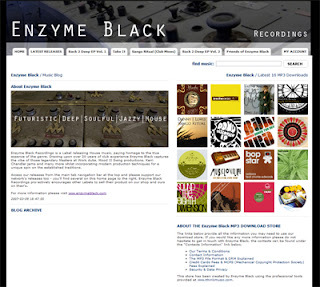 You can now buy Enzyme Black Recordings tracks from the new online store at ithinkmusic. All of the releases will be for sale there after they are promo'd on Traxsource. Head on over there now if you fancy getting some! We've also got some friends in the area - Yoruba Soul, TrebleO, Sick Trumpet and Restless Soul so support them too if you can.